Something I hate to buy is the necessities. Silly, I know. But it really pains me to buy things like toiletries. My mother-in-law seriously buys me shampoos and conditioners, and underwear (yes, truly), for Christmas every year and I couldn't love her for it anymore. 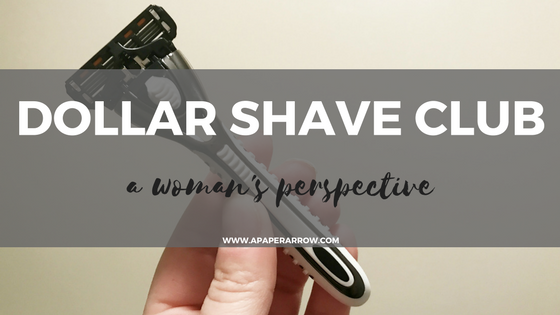 Razors are even worse for me, because I always forget to buy them and end up using the same one forever (I know, gross). 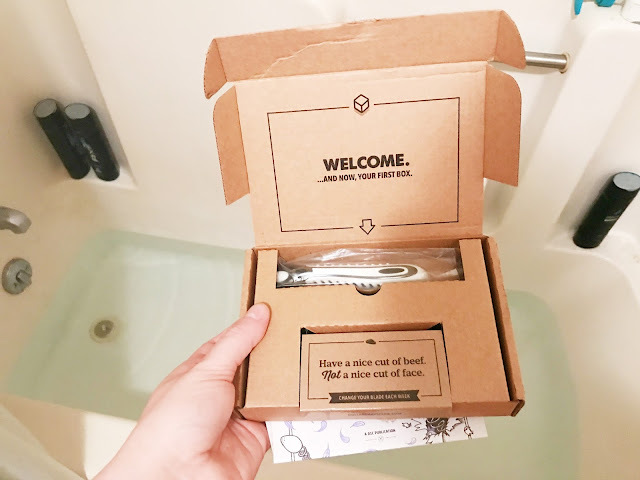 So, when I saw I could get my first month of Dollar Shave Club (referral link) for just $1 (including shipping), I knew I had to jump at the chance. The membership includes one handle and your choice of blades. I went with the 4x (four blades), which is $6 a month (or every two months, it's up to you!) with free shipping. There is also the humble twin (two blades) for $1 a month and $2 shipping, or the executive (six blades and a trimmer) for $9 a month (free shipping). I chose the 4x because it met my needs, and $6 every two months - that's basically a fancy coffee, so why not. I enjoy the razor. It's easy on my skin (I mean, it's made for a face, so of course it's gentle on my legs). I change out the blade about every two weeks, because I don't shave extremely often, but I haven't had any issues with rusting. 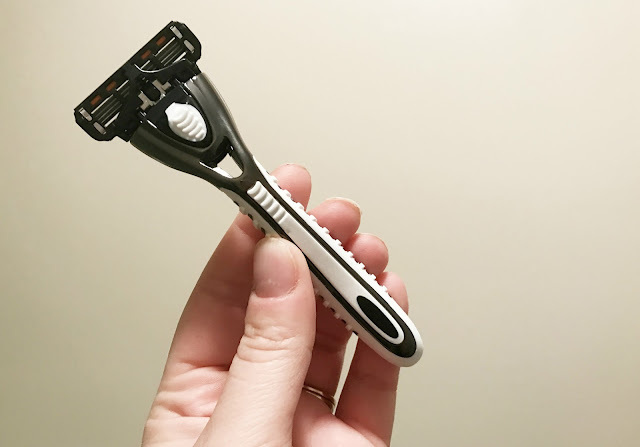 This absolutely meets my needs and I don't even have to think about purchasing new razors ever. They're just delivered straight to my door every two months - and I don't even miss the $6. 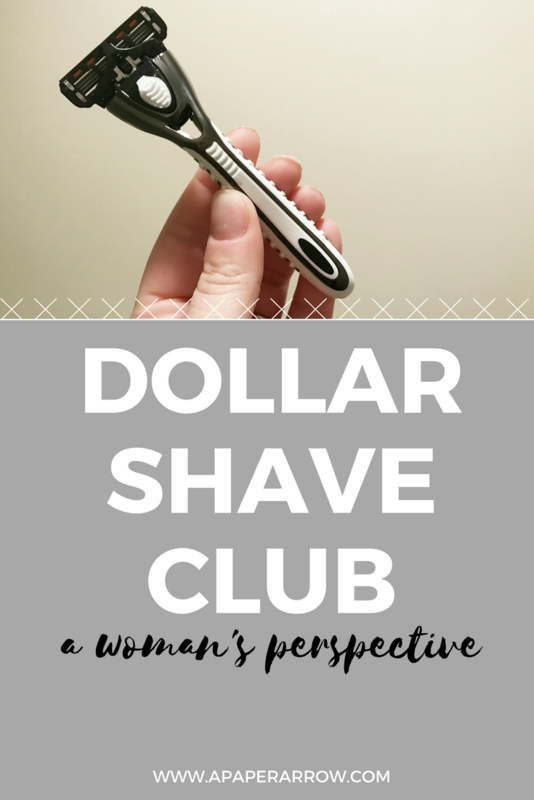 Have you tried Dollar Shave Club? What services do you use that make your life easier?